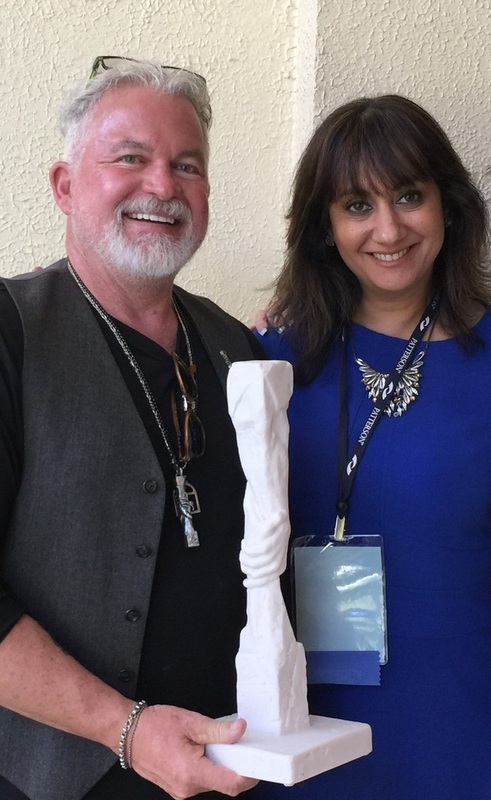 I had the pleasure of meeting the very talented sculptor Gary Lee Price this month at the annual AADPA meeting in St. Petersberg, Florida where he was one of the speakers. He is holding a marble replica of the Statue of Responsibility in this picture with me. Gary was asked to design this monument by Stephen Covey in honor of the work of Dr. Victor Frankl. You may be wondering what this has to do with your dental visit. After 25 years of practicing dentistry, I am starting to find patterns that are common in patients that succeed in taking care of their health. That is different than never having any health issues or disease. I am talking about their motivation to do whatever it takes to be healthy, not the state of being disease free. These actions may range from keeping their preventive care appointments with us, being proactive with a toothache or infection and following through with recommended treatment for identified problems. These patients have a strong sense of responsibility for themselves so they can fulfill their obligations to their families, work, community and society as a whole. They come in eager to know about the state of their health and willingly and readily partner with us to take care of little problems before they become bigger problems. They are able to relate to the reality of their condition and even though it's never enjoyable going through a necessary procedure or process, they take it as a sign of what must be done to be free of emergencies and pain. This proactive approach is their way of being in all avenues of life. We have the freedom to choose and decide our attitude. No one exemplified that better and more poignantly than Dr. Victor Frankl. When we accept responsibility for what we can do about a situation, we are empowered with being able to change our condition. At 229 Charles Street we are extremely empathetic to patients that are nervous about coming to the dentist but are limited in what we can do for a patient by what they choose to do for themselves. We always encouragingly tell our patients that we will do everything in our power to make their experience with us a positive one but can only meet them half way. True healing happens in a partnership. And that is what we aim to achieve with every patient of ours.